Sap Engineers & consultants are best plc trainer kit supplier and Manufacturer Company in all over India. Our company is highly esteemed in offering PLC Trainer Kit to the customer PLC Trainer Kit is manufactured under the supervision of experienced professional using highly pioneered machinery in conformity with set excellence standards. 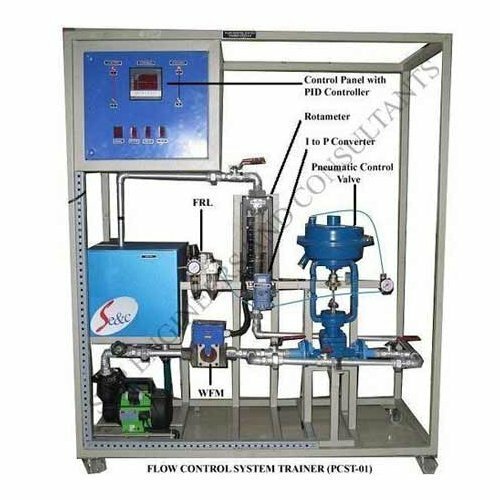 PLC Trainer Kit product can be availed at market chief price as per the requirements of respected clients. The PLC Trainer kit system has been planned to teach and train the students in the art of encoding of different type of PLCs and implement program developed to understand fixed and dynamic simulators. The system is desktop rack type and modular. The upper side of the rack is provide with DIN railing for extract on different PLCs and can be expanded. The rack widths vary from 350-500mm (13.8-19.7 in) depending on the number of PLC expansion modules. A standard breadth of 400mm (15.75 in) is provided with the basic training unit..